In 2012 Rob helped set-up a club in his home town. Travelling into London every week for training and games could not go on forever. The idea of playing lacrosse 5 minutes from home was far too appealing to turn down. After three years of graft Rob had managed to cobble together enough players to enter a men’s team into the 2015/16 SEMLA league season. 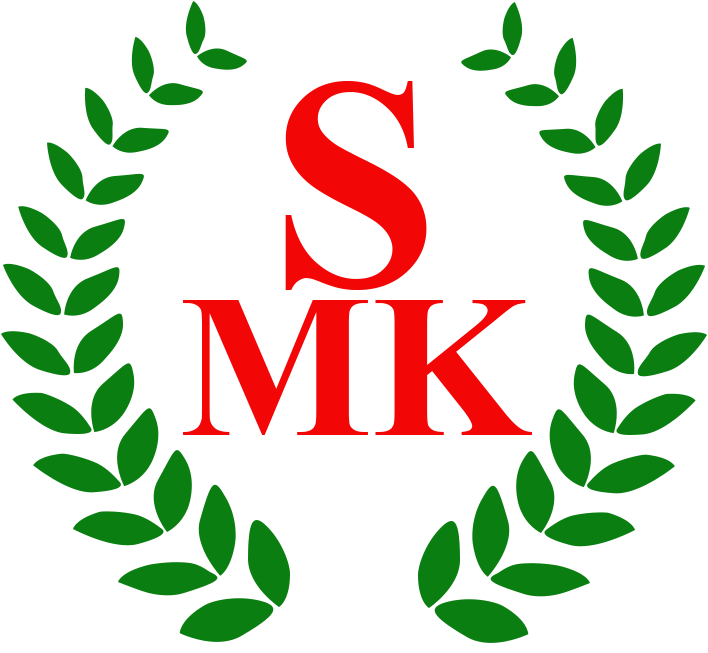 Coaching level 2 qualification was obtained in 2013. Referee level 2 qualification was obtained in 2017. 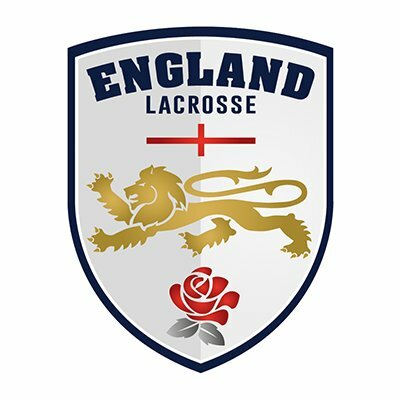 As well as coaching, referring and playing field lacrosse for the Milton Keynes club, Rob is part of the Southern Box Lacrosse team running box/indoor lacrosse sessions out of the Midlands Arena venue in Lutterworth. While most of Rob’s hair has been lost over the years, his love of lacrosse continues to grow. 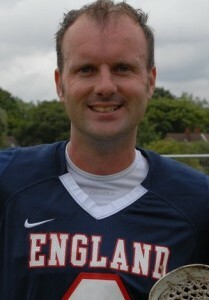 Being part of the England Masters squad at the 2010 FIL World Championships in Manchester has been Rob’s playing highlight to date. He learned so much more about the game by being around the group of players with vast experience, many from full England duty four years earlier. He played midfield, given he was one for the younger over 35’s and could still just about run around the lacrosse field. Alas didn’t score but did get on the assists stat sheet against a game vs Australia. During his time with Spencer he was fixtures secretary, ran their website, and played average defence. Lots of great memories; Tours to Amsterdam and Madrid, playing on a frozen pitch in Bath, busting up his shoulder, also against Bath, and helping Spencer grow from a small club that could just about find 10 players on a Saturday to now being the premier club in the South. Rob obtained referee level 1 qualified in 2005 to join the group of Spencer players who help out with referee duties when required. After a brief experiment with rugby in London, Rob hunted for his nearest lacrosse club. Back then this required flipping through the paper lacrosse handbook (pre internet days) and he found Kenton near Wembley. 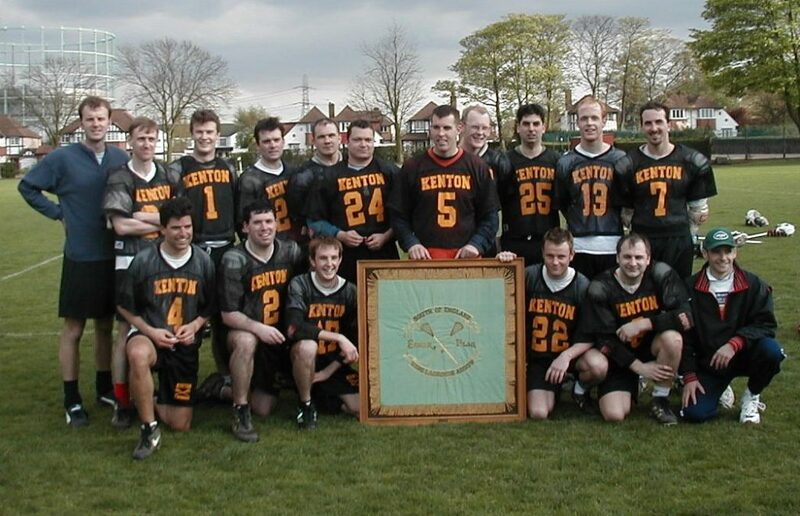 For the 2000/01 season, Kenton merged with the Beckenham club to form Spencer. Rob started playing lacrosse at Loughborough University in 1991. I wanted to play some kind of team sport while studying. My preferred sport from school and college was field hockey. At the sports and social freshers fair I checked out various clubs. After feeling small in the basketball queue, way too thin and weedy in queue of hundreds for rugby, likewise in the smaller queue for American Football, in no way wanting to play to play football, and not really wanting to be in the Uni 5th or 6th teams for field hockey, I stumbled across the lacrosse stand. On the table was a helmet and gloves. Behind was a TV showing a grainy VHS highlights video from the US featuring the Gait brothers. After a quick chat with the men’s and women’s club reps on the stand I was directed outside to join a thrown-around. Lacrosse was the Uni sport for me when I found they were just sitting around a crate of Stella with a bunch of sticks and a handful of balls. The following Saturday I was in a minibus heading to deepest Manchester to play Cheadle C (and got horribly beaten by old men in leather helmets). Loughborough Uni at that time were just playing Saturday lacrosse in the Northern League. Lacrosse was only a women’s sports in the BUCS system way back then. During 91-95 the Uni flip-flopped between Northern League Divisions 5 & 6.